Saving energy isn’t as complicated as you would think. What a lot of homeowners don’t realize is that your home’s features contribute to a hardly-functioning AC unit that’s already on the struggle bus. It’s not always air conditioner problems that cause a curiously warm home during the summer months. Various other factors, such as a lack of window treatments, could be the culprit. So, we’ve compiled a list of quick and easy ways that you can help you keep your house cool and save energy this summer, simply by making a few adjustments here and there to your windows that would otherwise let the cool air escape out of your home faster than a popsicle melts in this Texas heat. Solar heat gain in the summer can be reduced by up to 65% on the south-facing windows and 77% on west-facing windows, simply by implementing window awnings. Today’s awnings are usually made from synthetic materials that also repel moisture and mildew so that they last longer. If you’re investing in awnings, stick with lighter colors, as darker ones will absorb more sunlight. You’ll also want to make sure they’re well-ventilated, or else there’s really no point in getting them (they’ll just trap hot air). A favorite of many homeowners is to install an adjustable or retractable awning over a patio seating area, allowing you to shade it in the summer and warm it during the winter. Window blinds, both vertical and horizontal slat-type, are effective at reducing summer heat gain. As you’re probably aware, they’re available in both interior and exterior options. With interior blinds, it’s difficult to control heat loss because of the openings between the slats, but in the summer the slats offer flexibility. You can adjust the slats to control light and ventilation, and, when completely closed and lowered, blinds can reduce heat gain by around 45%. When you completely lower exterior blinds, their slats meet and provide shade, reducing heat gain. Interior window shutters, like window blinds, work best for reducing heat gain in the summer. They allow natural daylight, while also blocking radiation and keeping the room cool. They also provide immediate shade when closed and look beautiful. Draperies can be used for decoration but are also efficient at reducing heat gain and saving energy. When it comes to draperies, the ability to reduce heat loss and gain depends on fabric type and color. 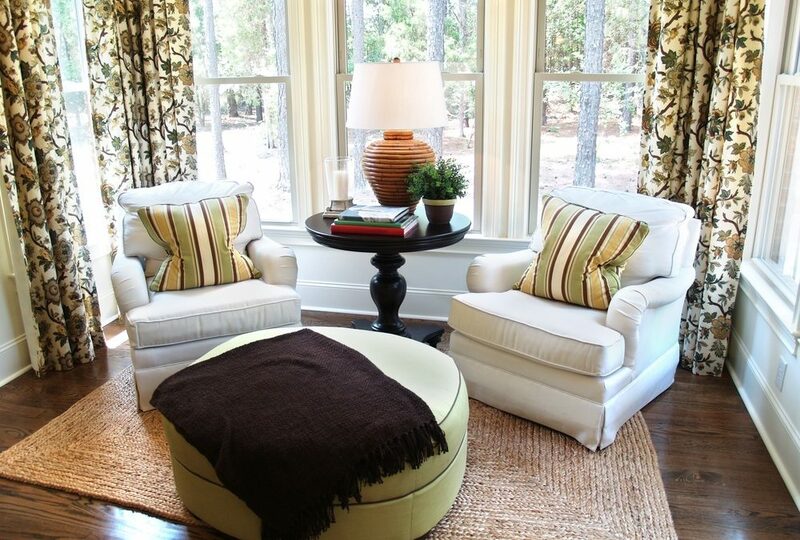 During the summer, closing draperies on windows that receive direct sunlight will reduce heat gain significantly. Medium and darker-colored draperies with white plastic-backings have had the best results, reducing heat gains by 33%. You can block summer heat gain with high-reflectivity window films placed over existing windows, whether professionally installed or available at your local home improvement store. They’re generally inexpensive and can make a serious difference when it comes to your cooling bill. Some factors of the effectiveness of these films, however, depends on the size of the window area, window orientation, climate, building orientation, and whether or not the window has interior insulation. Window shades, if properly installed, can be the simplest and most effective window treatment for saving energy. Shades should be installed as close to the glass as possible, with the sides of the shade close to the wall to set a sealed air space. Lowering the shades on sunlit windows in the summer will reduce heat gain. If your home just can’t seem to keep up with the heat, however, it’s time to call in the experts. Contact Reliant Air Conditioning today, and we’ll come out, diagnose, and complete any AC repair need you may have. Suspect that it’s time you need a system replacement? We’ll take care of that, too! Need to get in touch with us, Dallas? AC repair professionals are standing by.